Access To All Video Lessons. Only $12.99 per month after that! Color Basics In Six Lessons – Important Stuff! I am a passionate and dedicated watercolor painter and enjoy helping others make progress in their own watercolor practice. My watercolor painting journey was, I suspect, just like your own. I spent a lot of time trying to find those precious bits of free time that I could devote to learning, practicing and painting. 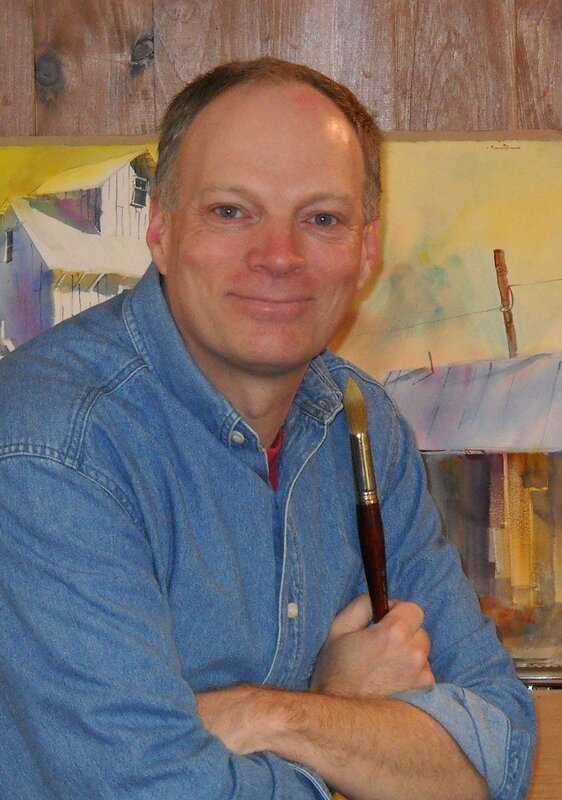 I’ve taught watercolor painting classes and workshops for the past 15 years. That experience has taught me a couple very important things about nearly all aspiring watercolor painters: nearly everyone struggles with the basic handling and techniques; along with getting a handle on those, some simple design and composition quickly improves everyones work. Watercolor Methods lessons were developed with my own experience as a student as as an instructor in mind. The lessons are in-depth and step-by-step. There is a focus on the fundamental techniques, composition principles and a good bit of explanation and insight into thinking and process. I want you to enjoy the unique beauty and qualities of this medium the way I do and hope Watercolor Methods will help you on your watercolor painting journey.